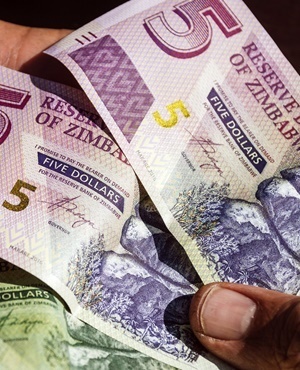 Zimbabwe’s government expects the exchange rate of what is in effect a new currency to strengthen from its current black market level when it starts trading. The political opposition isn’t so sure. On Wednesday, central bank Governor John Mangudya said the government will no longer insist that quasi-currencies known as bond notes and RTGS dollars, an electronic equivalent, are worth the same as real US dollars. They will be merged and allowed to trade freely in an inter-bank market. Those instruments were trading at between 3.66 and 3.80 to the dollar before the announcement, according to marketwatch.co.zw, a website run by financial analysts. The measures come as the government scrambles to end a currency shortage that’s pushed inflation to the highest rate since 2008 and sparked shortages of fuel and bread. The troubles stem back to the country abandoning the Zimbabwe dollar in 2009, after a bout of hyperinflation, in favor of the US greenback. In 2016, it introduced the bond notes, which aren’t accepted outside the country. The official inflation rate has soared to 57% from less than 4% a year ago. Steve H. Hanke, a professor of applied economics at the Johns Hopkins University in Baltimore, calculates it to be even higher, at 269%. He said the models were based on purchasing power parity. The biggest opposition party, the Movement for Democratic Change Alliance, isn’t convinced. The central bank will probably have to supply plenty of real dollars to keep the next exchange rate stable, according to NKC African Economics, based in Paarl, South Africa.